Bridget Kendall discusses the history of the Fulbright programme with Professor Randall Woods, Professor Joan Dassin and Fulbrighters Vitoria Prochet and Nilofar Sakhi. In many countries, the word 'Fulbrighter' has become almost synonymous with US-sponsored scholarships. 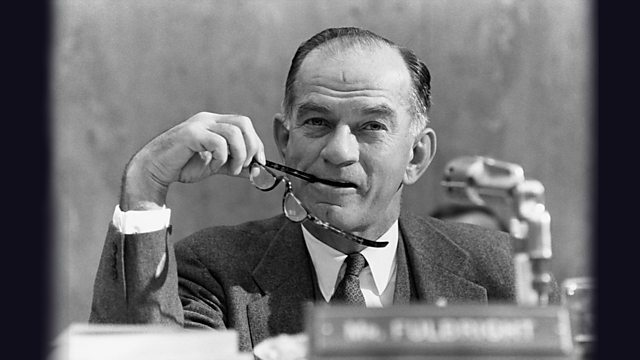 But what about the man whose idea it was to set up this international scholar exchange programme over 70 years ago: how did J. William Fulbright convince his fellow Senators to support this novel concept? After all, the aims of the programme were nothing if not ambitious: "the achievement in international affairs of a regime more civilized, rational and humane than the empty system of power of the past". To discuss the history of the Fulbright programme, Bridget Kendall is joined by Fulbright's biographer Randall Woods, Professor of History at the University of Arkansas; Joan Dassin, Professor of International Education and Development at Brandeis University in Massachusetts; and two recent Fulbright scholarship recipients: language teaching specialist Vitoria Prochet from Brazil and human rights activist from Afghanistan Nilofar Sakhi. Historic recordings of Fulbright speeches used in the programme courtesy of Special Collections, University of Arkansas.